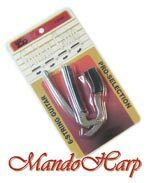 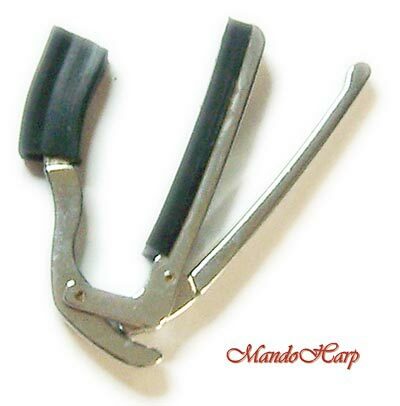 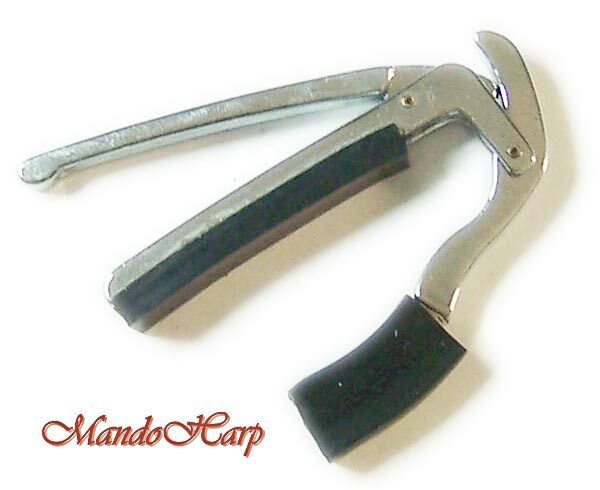 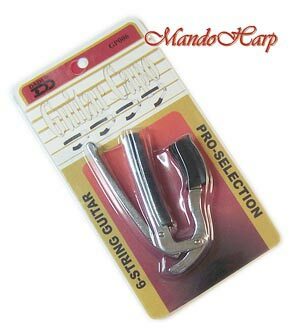 MandoHarp - Clip-On Lever-Action Capo for Guitar/Mandola etc. 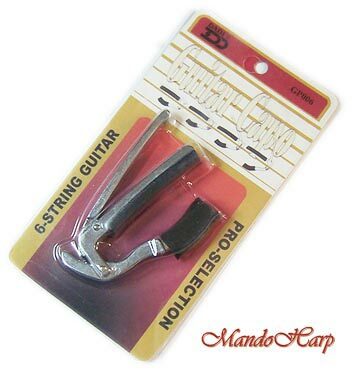 It is constructed of cast alloy and the guitar contact points are rubber. 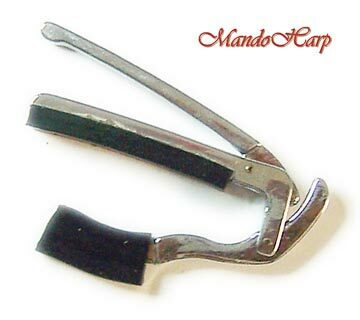 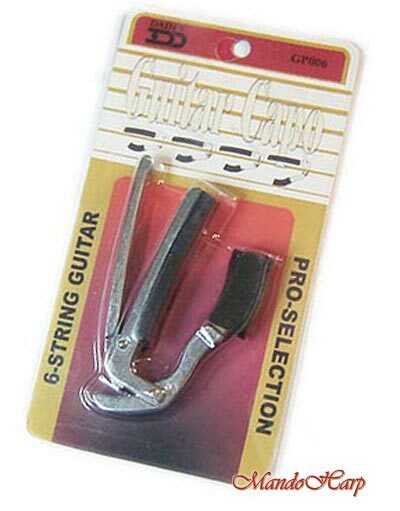 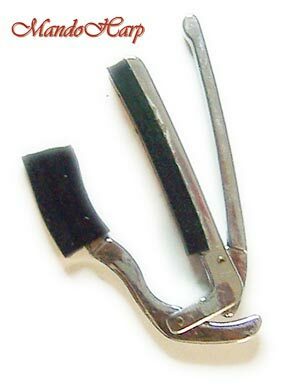 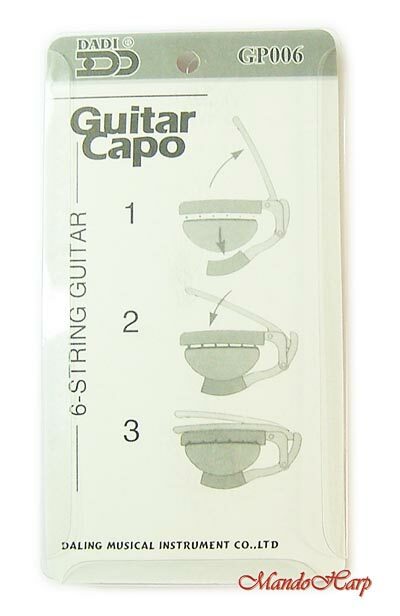 The capo can be quickly applied or removed. 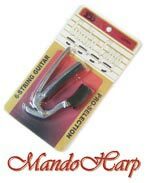 Suitable for all types of guitars and also suitable for mandolas!